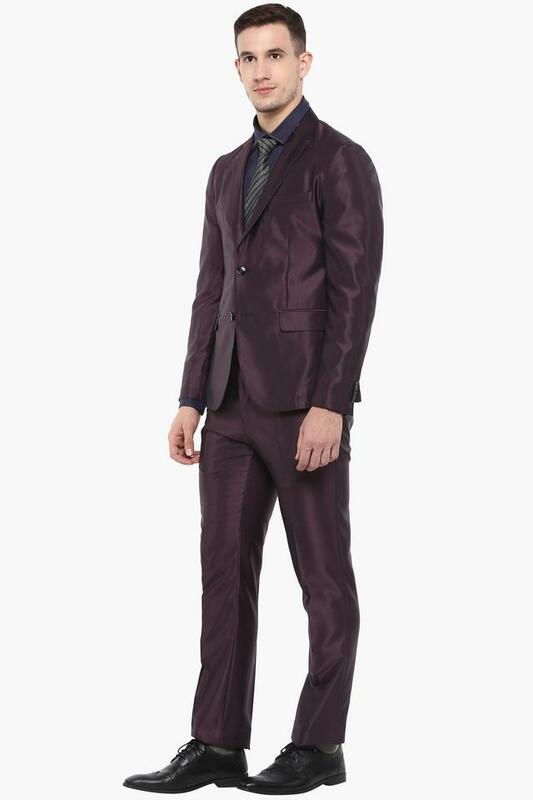 Get admired for your rich taste in apparels by wearing this suit presented by Van Heusen. 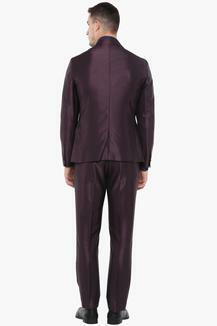 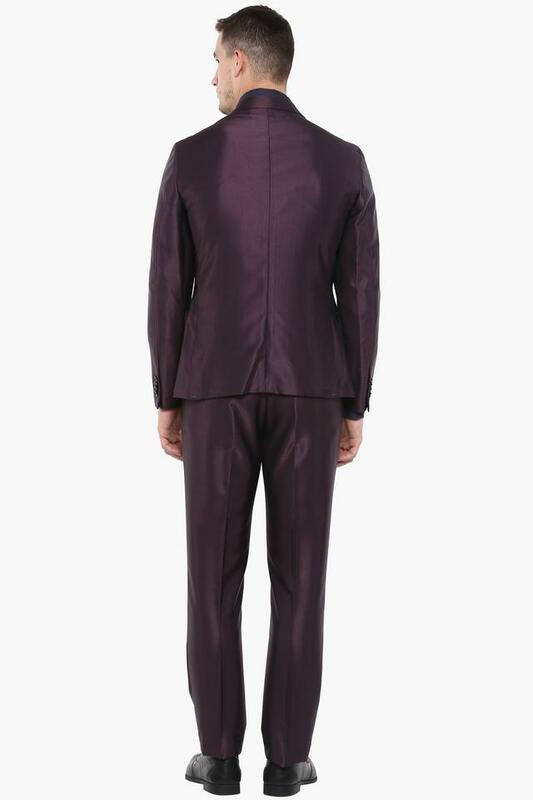 It is made of a premium quality fabric that gives it a refined finish. 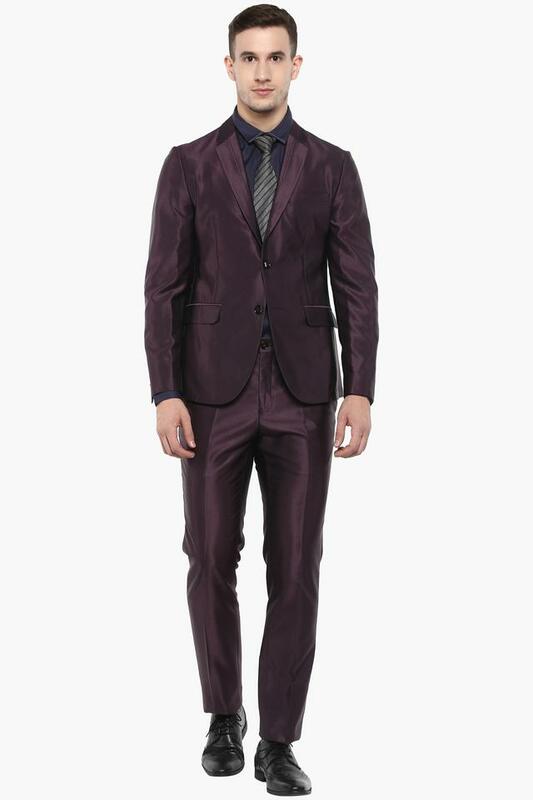 In addition, it features a solid pattern, which renders it fashionable, while the notched lapel accentuates the design. 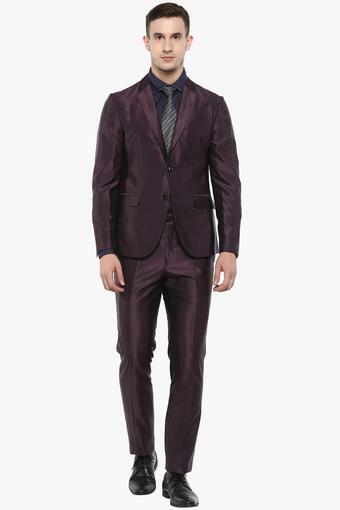 Men, who swear by classy fashion will surely love this suit. 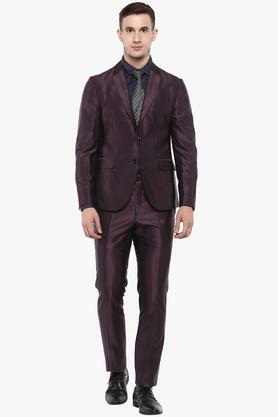 It will help you to dress up smartly for any party occasion.